The High-Tech Future of Retail is coming, and it may be closer than we think. Customers are demanding improvements to the apparel experience, and the Retail industry is actively responding. This blog highlights some of the research and development in process to bring the High-Tech Future of Retail to the everyday Retail customer. This group of industry leaders and researchers are focusing on automating the experience of product selection and fit, for improved time to market, and product customization, particularly to regard to bespoke fit. The fashion industry is transitioning to Direct-to-Consumer and Product-as-Service models, thanks to the automation of product customization and associated personalization-for-style processes. This is known as mass customization in the US and in Europe as an industrial approach to retail Made-to-Order and its extreme option of made-to-measure. An Italian company, ELSE-Corp, has expanded on this concept by incorporating Deep Learning and Small Data oriented versions of Artificial Intelligence (AI) for use in fashion design, retail and manufacturing. 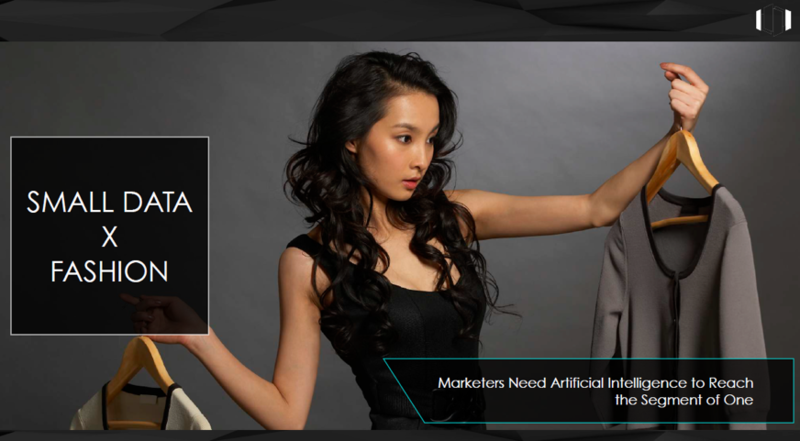 Their Virtual Couture Fashion™, is a vision for a Real Time Fashion System bringing AI driven design, new technologies, an improved value chain, a completely new business model and novel manufacturing methods to the Fashion industry. It aims to accelerate the transformation of the industry towards a direct-to-consumer, customer-pull approach; enhancing the customer’s virtual shopping experience and optimizing the Virtual Retail value and service delivery chain using 3D and 2D computer aided design (CAD), teamed with AI. The Big Data approach focuses on general business intelligence, with multi-channel analytics and real-time demand planning. The Small Data approach focuses on personal (AI-driven) demand for optimized product design and retailing. 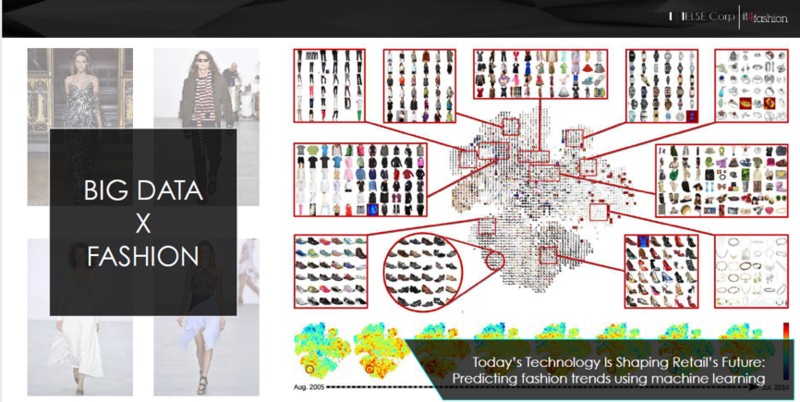 The Virtual Couture Fashion™ system provides accurate predictions of the style and size/ shape needs of individual customers, while forecasting product demand and improving supply chain planning and optimization. Just-in-time on-demand manufacturing is made possible, and customer needs are met through either product customization or algorithms that search for products likely to fit based on customer characteristics. Brands benefit from better customer satisfaction and better on-demand planning. The environmental impact of the global fashion industry is improved through less wasteful practices related to excess inventory and customer returns. How will customer needs and preferences impact retail in the future? Lien Van de Velde from Van de Velde Lingerie and Swimwear, on a PI Apparel’s Fashion Made podcast, explains the behind-the-scenes of development of an on-line try-on augmented reality tool or app. Expanding their company’s mission to improve the self-image of women through fashionable lingerie and fitting assistance to be in all channels, (in-store, on-line or mobile app). 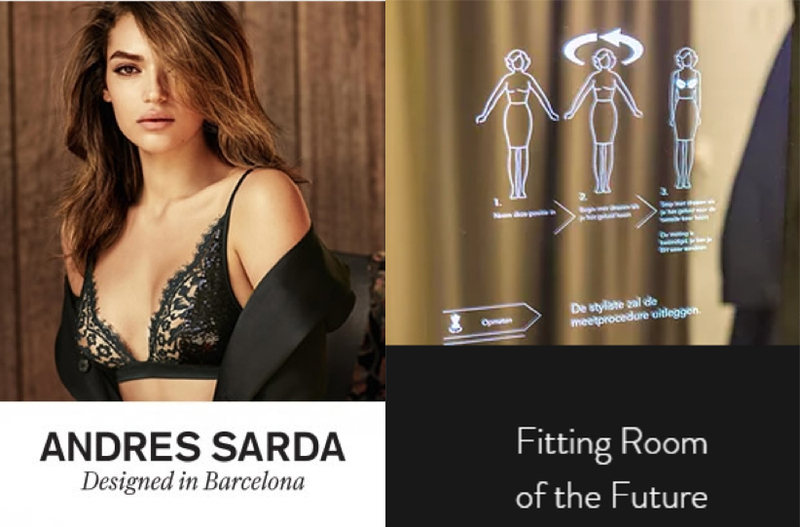 Utilizing their Summer 2018 Lingerie Collection, Van de Velde tested the app with core customers in their central Amsterdam store. They were surprised to learn that Millennials (age 18-25) still enjoyed interacting with a fitting expert in selecting proper fitting and fashionable bras. Customers judged this to be even more important than using an avatar that reflected the customer or the ability to share their choices with friends. Testing of the app began in Summer 2018 and still under development. How to keep the brand’s strengths with the new technology? 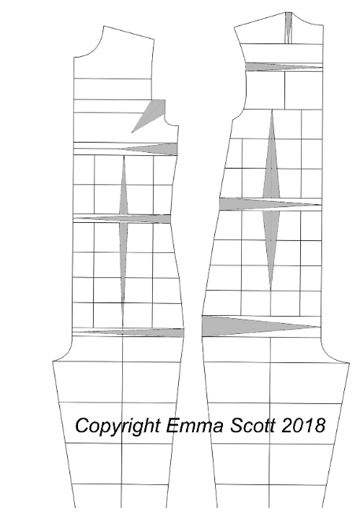 The Clone BlockTM, developed by Emma Scott of Fashion Should Empower (Vancouver Island, BC, Canada), offers to solve the problem of garment fit for body shape with a new method of translating body dimensions to a 2D pattern. An inability to quantify body shape has hindered the automation of fit. Scanning allows for a quick understanding of the customer’s body shape but without a method to quantify it, custom pattern shaping must rely on trial and error fittings to perfect fit. Traditional methods of body shape assessment merely approximate shape (twin block). The Clone BlockTM replicates the body in 2D thereby offering a mathematical representation and a new approach to garment fit assessment compatible with automated technologies. Where traditional garment fit assessment practices have previously relied on the comparison of 1D (tape measure) measurements, the Clone BlockTM offers a 2D assessment compatible with 3D technologies. How do we make the Little Black Dress look good on every Body? How will 3D body scanning impact pattern-making and understanding of garment ease? 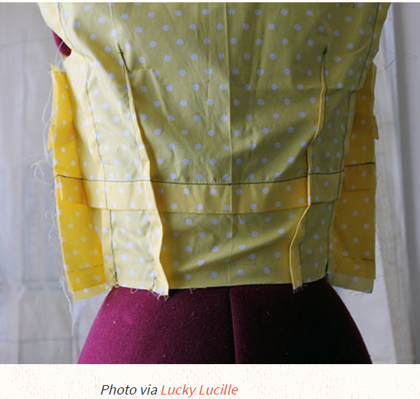 What do Aerospace engineering and pattern making have in common? At the University of Manchester, U.K., a collaborative project between the School of Materials and the School of Mechanical, Aerospace and Civil Engineering developed the JBlock2D package – an automatic block-creation-geometry library. This library is the beginning of new open source software dedicated to the realization of a fully-automated custom-clothing production process. The key is to create pattern blocks that accurately reflect the shape and proportion of customers. The JBlock2D forms a platform for the analysis of pattern-to-person relationships coupled with body scanning. Dr. Simeon Gill’s research (School of Materials) focuses on how patterns are related to the body and how this relationship drives the product. His work will be facilitated by body scanning and analysis that allows for algorithm directed measurement, and thereby leads to a better understanding of body shape. Dr. Simeon Gill is convinced that pattern drafting can only really evolve in tandem with body scanning. 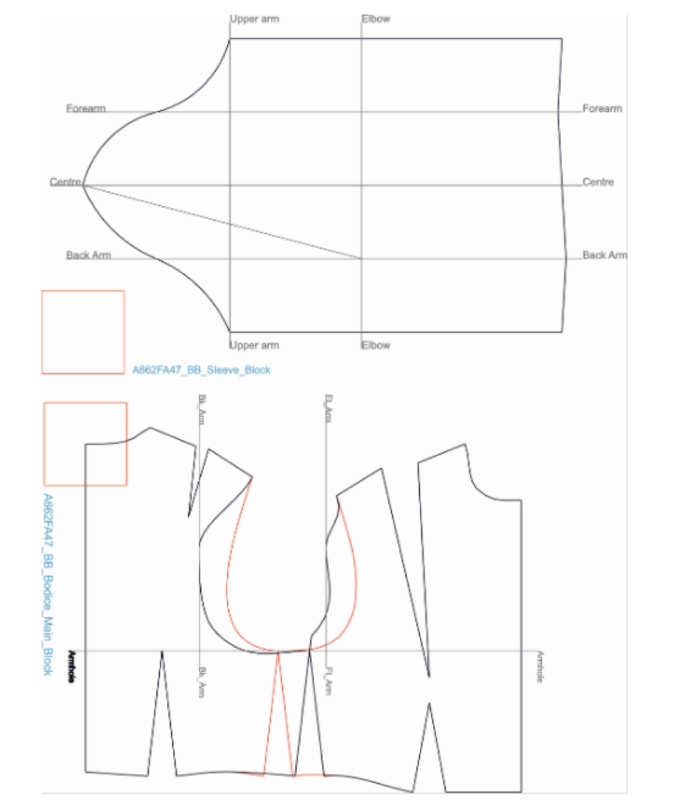 The current version of JBlock2D library includes 2D geometrical features that mimic the geometries used in traditional hand-created garment pattern blocks. 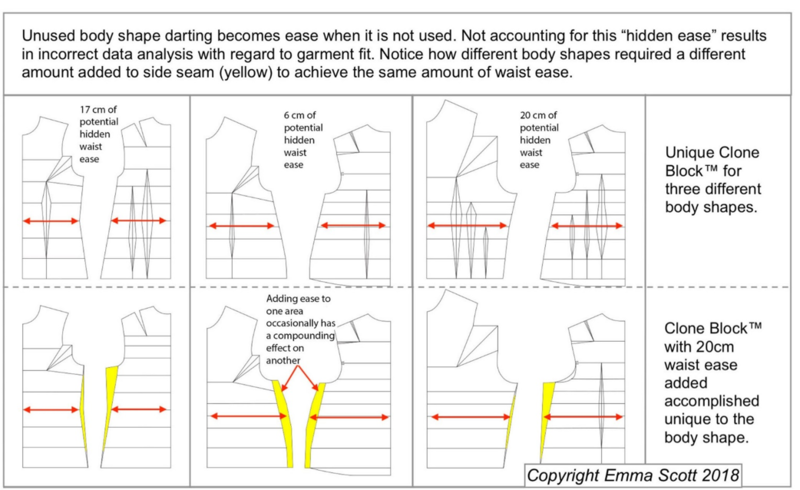 The library can be used to automate any pattern drafting method. The goal is to enable mass-market automation of custom apparel production and perhaps improve and ultimately standardize pattern drafting methods. There is a guide on YouTube showing how the JBlock2D software provides and interface to create dxf patterns drafted to an individual’s measurements directly from a SizeStream body scanner. It allows for direct creation of individual pattern blocks. Will 3D scanning cause the pattern drafting techniques to converge? Clone BlockTM: A Clone BlockTM is a mathematical representation of 3D body scanned data and translated to 2D, it replaces the traditional sloper or block with a block that mirrors body shape. While like other traditional blocks, in that it is base pattern from which other designs may be made, proprietary landmarks make the Clone BlockTM uniquely suited for technological platforms. Unlike traditional garment blocks which use static unchanging darting and shaping, the Clone BlockTM is digitally marked for body shape parametrization with darting and shaping that adjust to match 3D body scanned data. Void of seam allowances, wearing ease and design elements, the Clone BlockTM can serve the purpose of a traditional block while also providing the foundation for mass garment customization. JBlock2D: a JBlock2D is a type of basic pattern stored in a digital library that is used as a building block for all other patternmaking. A JBlock2D pattern is generated from body scans, thus allowing for improved understanding of body shape, as derived from body measurements extracted from the point cloud. The JBlock2D library allows for seam allowance, wearing ease or any other pertinent design elements. Will 3D scanning create new definitions for very similar items that have manual or digital versions? At Sheffield Hallam University, U.K., technology from the research centers are being used to enhance teaching and learning in fashion. During the Semester 2 (Winter 2019), fashion design students will use 3D- imaging technology (developed by the Centre for Sports Engineering Research) to explore design in new ways. A video presentation, created with students, will demonstrate the potential of this collaboration. Towards the end of the project, a video will be produced which details: the technology that has been developed, the designs, creations and experiences of the students and the wider contexts for this technology. This video will be the core of a social media campaign which aims to showcase the project and what it produced. The intention is to repeat the project year on year. Will designers understand body shape better with 3D scanning? As a WSJ article stated in “9 Movies That Can Teach Your Children About Business”, the movie Singing in the Rain reminds us that coping with change is a forever process. Strategies for learning how to work with new technologies are a lifelong skill. Singing in the Rain shows how a movie studio made the transition from silent film to talkies. The new technology referenced in that movie has now been around for over 100 years and is available even on your phone. So, at the end of the day, when all the new technology gets overwhelming, just start humming the lyrics from a classic song…. Remember even old technologies were new, once upon a time. Carol McDonald is a new contributor to the University of Fashion. She, along with her husband, are owners of Gneiss Concept, a consultancy that focuses on mass customization of footwear and apparel manufacturing. She has over 30 years of experience in Manufacturing and Sustaining Engineering covering Consumer products (Starbucks, Intermec, Microsoft), Medical equipment (Physio Control), Testing equipment (Fluke Networks), Fitness products (Precor) and Design Innovation (PNNL). She has attended Shoe School in Port Townsend, Washington and Modo software training at Pensole, Portland, Oregon. Carol McDonald graduated from University of Washington, Bothell, in Electrical Engineering (B.S. ), from Oregon State University in Mechanical Engineering (M.S. ), from University of Oregon in Mathematics (B.S.). Carol McDonald is co-chair of IEEE 3D Body Processing Industry Connections Group which brings together diverse stakeholders from across technology, retail, research and standards development to build thought leadership around 3D body processing technology standard, https://standards.ieee.org/industry-connections/3d/bodyprocessing.html Her three grown children are involved in STEM fields ranging from distributed power generation engineering, a High School science teacher, and computer programming. She enjoys family ski trips, adult rec soccer and quilting.